If you are on a hunt for the best kettlebells for your home gym, then you might have found it challenging. It does not really matter if you are a serious weightlifter, bodybuilder, CrossFit trainee or a callisthenic. If you want a one, then you need to get the best kettlebells that are available on the market. We have scoured the marketplace and after several hours of researching, comparing and a few headaches, we have found 8 beauties that are currently dominating the market. 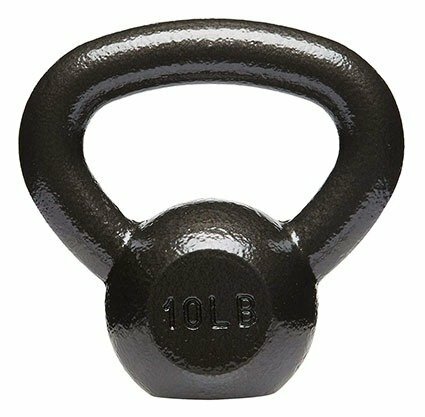 What to Look for When Getting Kettlebells? There are some criteria that you should check before deciding to finally get the best kettlebells for you. We have outlined each of them below. Weight is one of the most important things to consider. There are basically only two types of kettlebells, the standard ones, which are known as cast iron types and the prograde type. The prograde types are used in competitions and are also known as competitive kettlebells. But I guess you will be interested in cast iron types, since you’ve stumbled across our guide. While the cast iron models range from 5 to 80 lbs (2.25 kg to 36 kg), the prograde type starts from 9 lbs to 88 lbs (4 kg to 40 kg). The main difference between these two types is that the competitive types have all the same size, while cast iron types different in size in regard to their weight. The standard cast iron kettlebells are made, as you can guess, of iron. There are only 2 known ways to make these fellas, and that’s via single (or one) casting or 2-casting. The difference is that the 2-casting process attaches the handles to the round core, while 1-casting makes it all in one process. You can probably guess which ones tend to be stronger? Yes, the 1-casting method. There is also a third, rare type, where the weight is made of cement, which is coated with vinyl. On the other hand, the prograde kettlebells are made of one-cast steel, at least most of them. This is known to be the toughest and strongest material for these guys. In regard to durability, one-cast steel method is of greater quality than one-cast iron method. No, not every handle is the same. Some are thinner, while others are reinforced with steel (cast-iron type). Not every handle is also comfortable on hands. All these factors will be mentioned either in pros or cons of each kettlebells. As we have mentioned earlier, cast-iron models come in different sizes, but not only that. There also gender-specific sizes. In general, women start with smaller, lighter ones, designed especially for women, while kettlebells oriented for males are usually stronger, with bigger handles. Below we added a general weight recommendation for women and men. You do not need to follow it of course, it’s just a guide to help you out in case you wonder which kettlebell should you start with. Now that we are familiar with the features and what to look out for, let’s start our list of the best kettlebells on the market. The first on our list is the one manufactured by Yes4All. 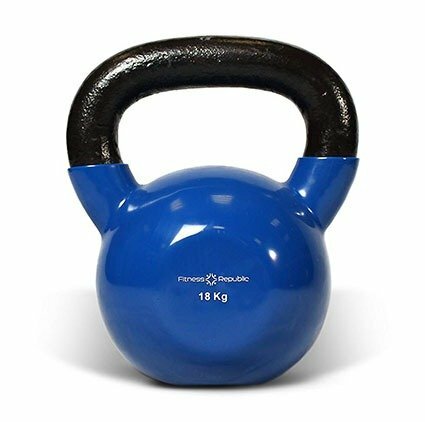 This solid cast iron kettlebell is made by one-cast method, thus there are no welds, seams or weak spots. It’s black painted finish provides good-looking design while preventing corrosion. The paint also provides good no-slip grip. The grip itself is large and wide and according to Yes4All manufacturer, there is no need to use chalk. The kettlebell also has flat bottom for greater stability. The second kettlebell on our list is manufactured by the famous CAP barbell brand. While this is a competitive kettlebell, it’s made of cast iron via one-cast method, so it does not have any welds or seam-casting that would interfere. The entire weight is coated in industrial powder finish for extra protection. The handles have wide opening for comfortable and tight grip and it also has a flat-bottom. The handles are color coded at their base. The Cap Barbell kettlebell comes in 11 different weights: 9, 13, 18, 26, 35, 44, 53, 62, 70, 80 and 88 lbs. 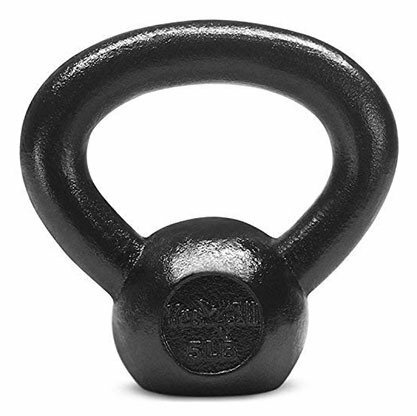 Our list of the best kettlebells continues with Fitness Republic vinyl-coated kettlebells. This kettlebell is made of cast-iron as well, but the difference is that its vinyl coated. This type of coating protects the kettlebell and your floor as well. It is also effective in regard to reduced noise and it’s easy to clean. The handle is painted in black enamel, which is comfortable on hands. As with all of the others, this one has a flat bottom as well. The kettlebells can be purchased in six different colors. Sizes and weights are not specified. 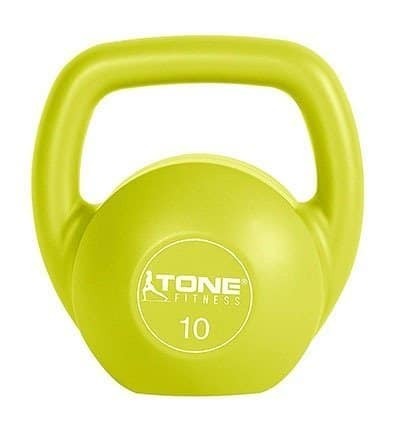 The fourth on our list is the Kettlebell by Tone Fitness. The first and only cement kettlebell on our list. Normally, we did not want to include it, but we decided to do so mainly because one huge advantage – the price. As the name suggest, the kettlebell is filled with cement and coated with vinyl. It offers a wide-opening handle and it’s also flat-bottomed. These ones are available in 4 different sizes, 5, 10, 15, 20 pounds and come in 4 different colors. 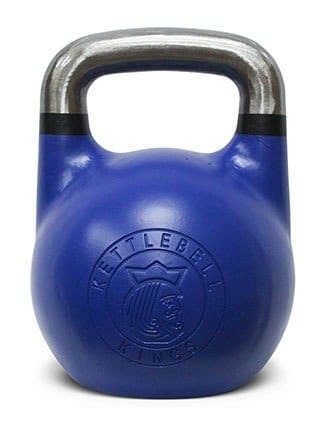 Oh yea, beauties by Kettlebell Kings also made it to our list of best kettlebells on the market. The first kettlebell on our list made of sturdy steel. It is a prograde, competitive kettlebell and its created with hollow core, because the construction is done via single cast, without fillers. This means that the kettlebell will not shift during any kinds of workouts. The handle has 35 mm diameter, which is an international standard. It is flat-bottomed and color coded. It comes in 11 different weights, from 18 to 80 pounds. 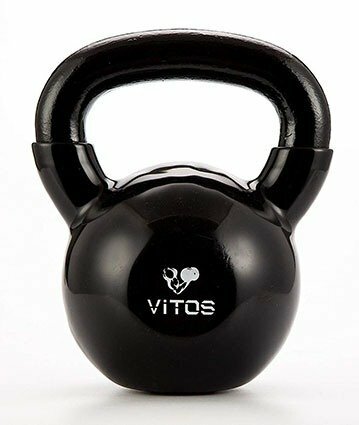 Getting back to standard kettlebells, the sixth on our list is the kettlebell by Vitos Fitness. It is constructed of high quality solid-cast iron with no seams, welds or weak spots. The kettlebell is coated in black enamel for added durability, protection against corrosion, better grip and better-looking design. It has textured wide grip for tight & comfortable grab and is designed for both, men and women. 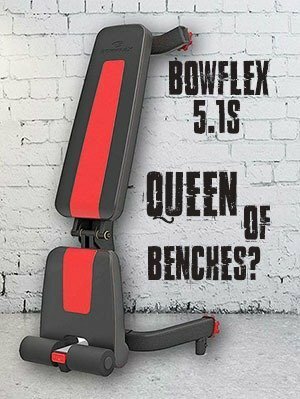 Available in 10 weights, from 5 lbs to 50 (5 lbs per weight). 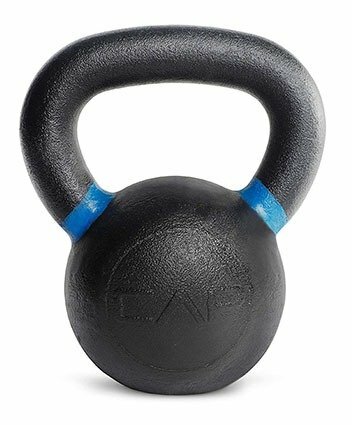 Who would guess that kettlebells by AmazonBasics would not make it to the list of best kettlebells on the market, yet, here they are. Made of high-quality iron cast, the kettlebell is very durable and according to manufacturer, its built to last. The entire surface is painted to increase durability and protection against corrosion. Extra wide handle ensures tight grip even for the largest hands there. It is also flat-bottomed. It’s available in 10 different sizes, from 10 to 60 pounds. 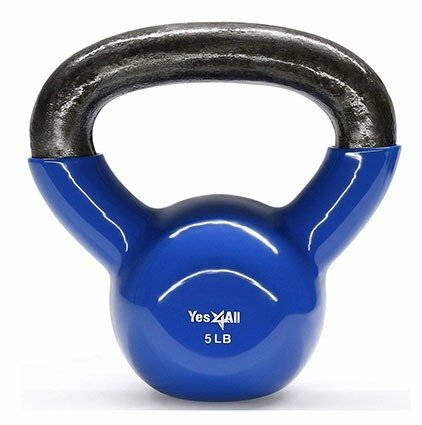 Kettlebells by Yes4All made it twice to our list, what a surprise, right? (not really). These fellas are made of durable cast-iron encased with vinyl, which is color coded. The vinyl prevents corrosion, increases floor protection and reduces noise. The handle is wide and slightly textured for added comfort and tight grip, which makes chalk unnecessary. It’s flat-bottom designed is perfectly stable and the kettlebell is designed for both genders. Available in 10 different sizes, from 5 pounds to 50 pounds. That concludes our list of the best kettlebells on the market that are worth your money. It is up to you now if you want to go for the competitive or the standard type. It is also up to you, if you prefer vinyl cover or color coding. Make sure to check if it’s available in the desired weight and if the handle is large enough for you. I hope this list made some sense and that you were able to pick your winner.